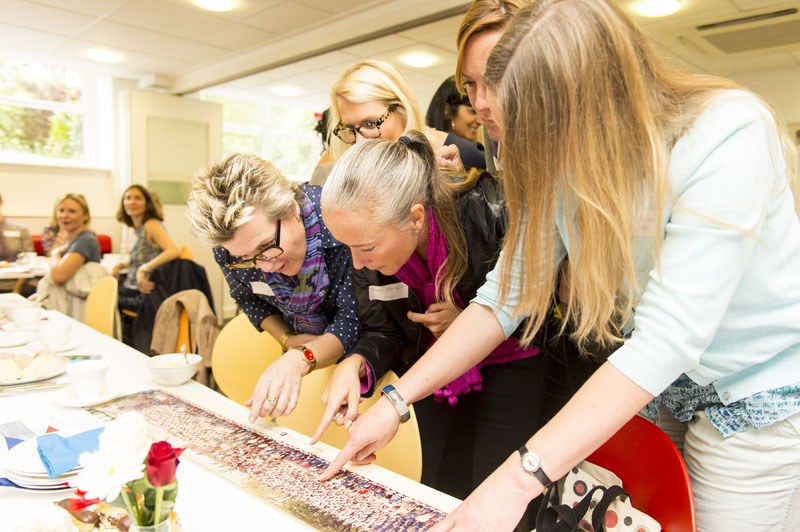 Women empowering women – what could be more inspiring? 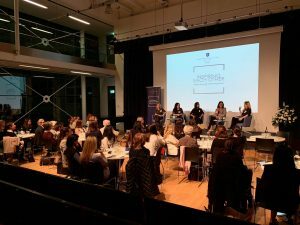 The panel conversation was brilliantly curated by Olivia Stamp (NHEHS 2012) of Entrepreneur First and we heard motivating words from Meg Cope (NHEHS 1987) founder of Zaccys, Aaisha Dadral (NHEHS 2005) – Founder of CRAVE, Amy Lynch (NHEHS 2000) – Founder of Ginger & Moore and Katie Tyndale (NHEHS 1988) Founder of Bee Green Wraps and Great Little Rewards, as they outlined how and why they set up their own businesses. 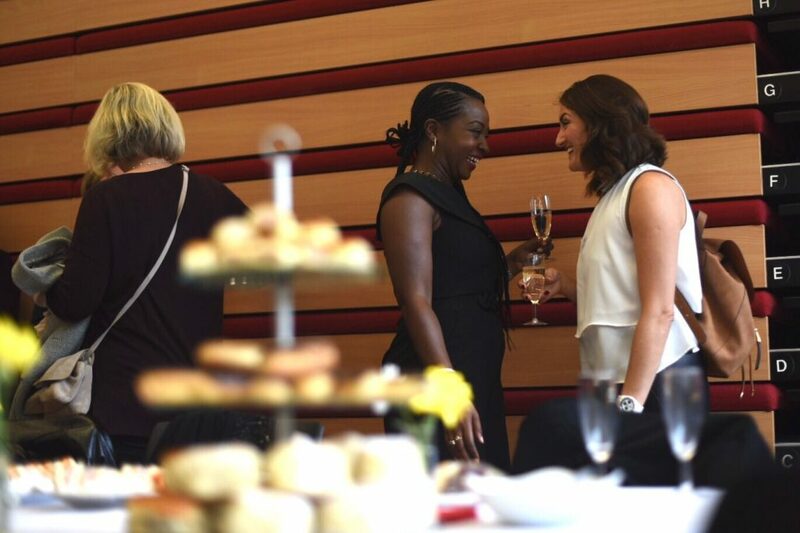 After the panel discussion and some Q&As there was a reception in the atrium with drinks and canapes, where the alumnae had the opportunity to network with each other. 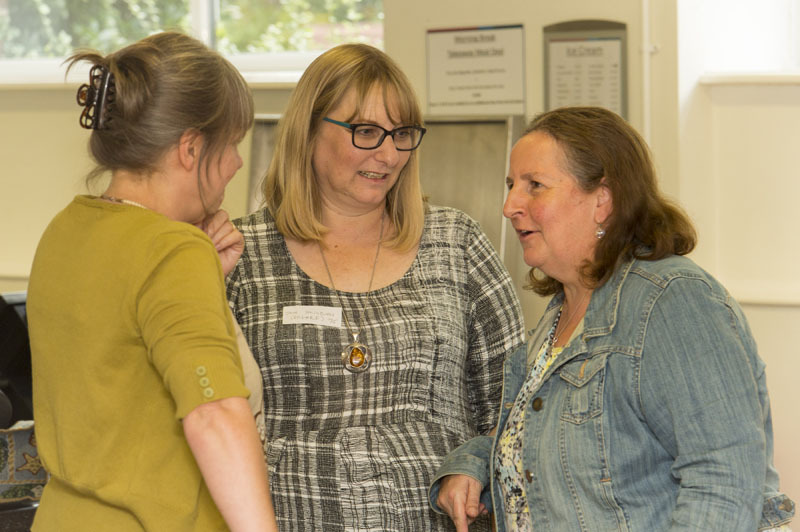 Animated discussions followed and fantastic new connections made. 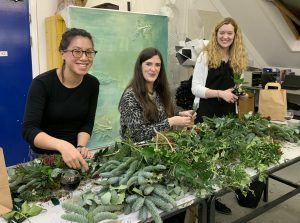 It was fantastic to celebrate the start of the festive season with alumnae in the art rooms for our annual Christmas Wreath Workshop. 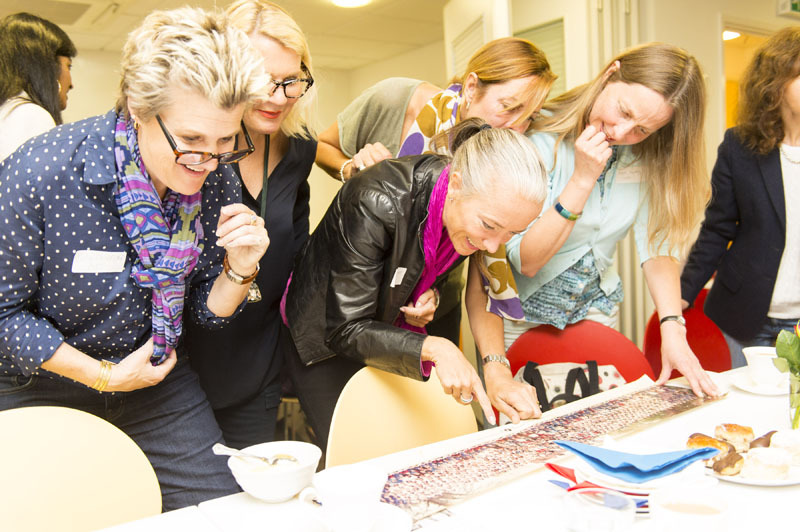 We welcomed NHEHS leavers from 1989, 1995, 1999, 2000, 2002 and 2005 for an evening of merriment, mulled wine, mince pies and some intense crafting! The resulting wreaths were beautiful. 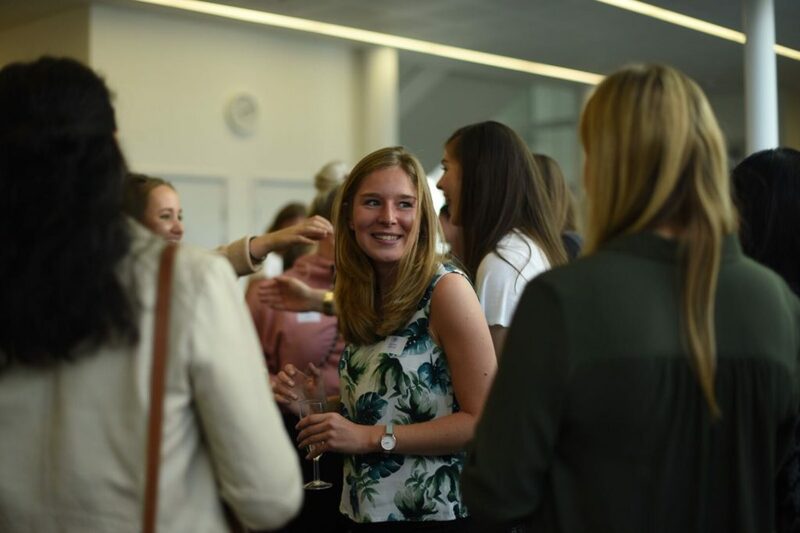 How wonderful to host an evening dedicated to networking for alumnae who work or have an interest in the fields of Architecture, Design and Engineering. 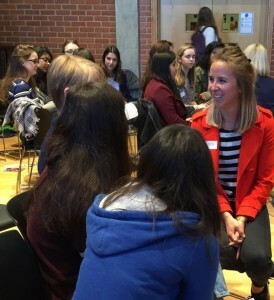 The event kicked of with an inspiring discussion by our alumnae panel led by Katie Wilmot (NHEHS 2002) who is an architect. 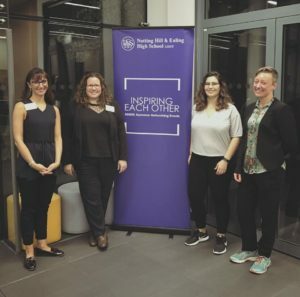 She was joined by Dr Kate Crawford (NHEHS 1995), an engineer, Emilie Paine (NHEHS 2007) who is an urban planner, and Kinda Savarino (NHEHS 2012), a graphic designer. 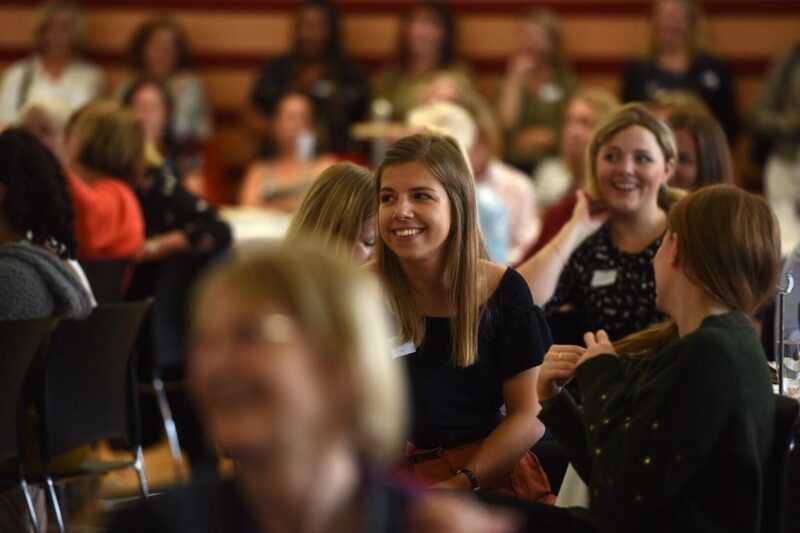 They covered topics relevant to these areas including the lack of women in these sectors, the influences of recent developments in technology and the importance of resilience and doing what you enjoy. 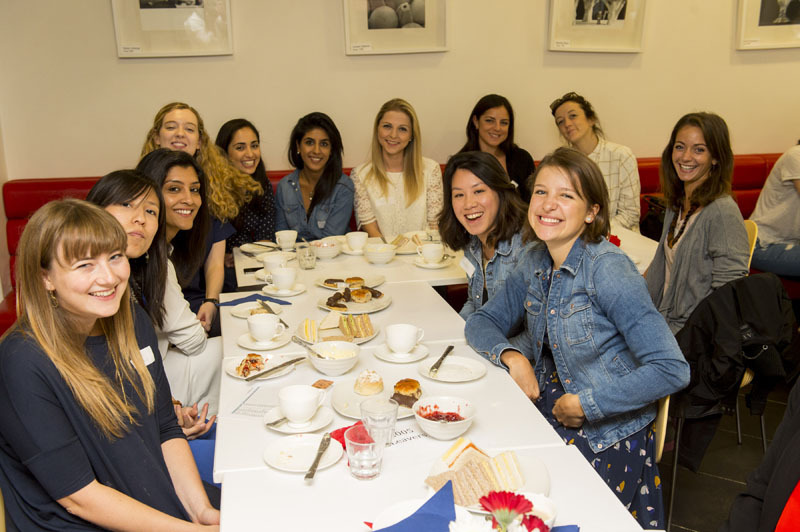 They gave advice to young alumnae who are at the start of their careers and touched on the reasons why they got into their current work roles. 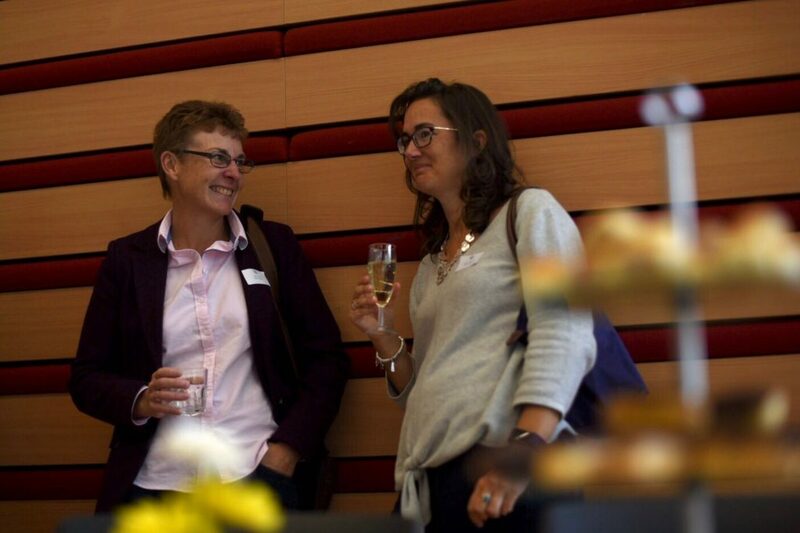 A networking drinks reception followed, giving all attendees the opportunity to make connections with each other and ask any further questions of the panel. 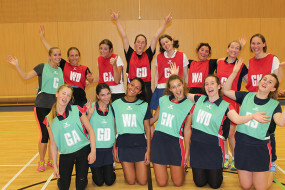 This year saw a strong Old Girl Team play the current 6th Form in the annual netball match at the OGA Tea Party. The sun was shining, and their warm up had been thorough, but despite valiant efforts by all, the OG team lost 20-10. There is talk of training in advance before next year’s game. 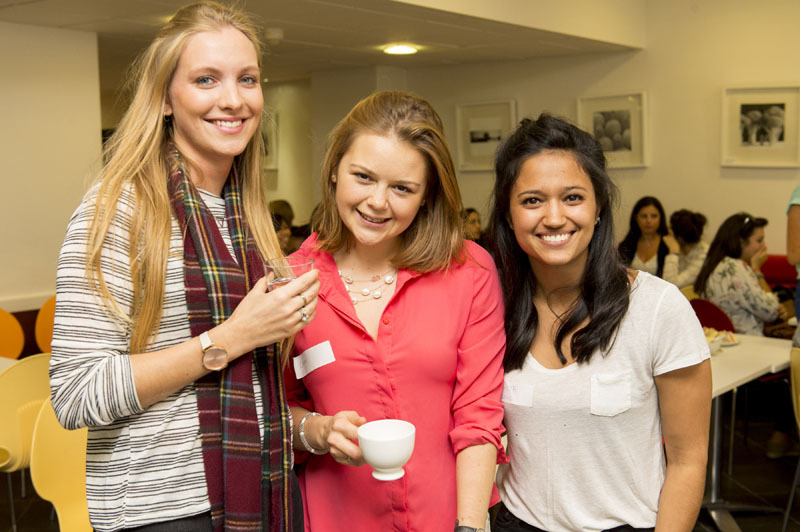 This year was a buzzing event set in the School Atrium and Main Hall, attended by 250 alumnae. 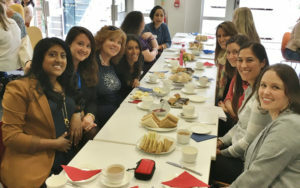 The OGA Committee had excelled themselves by presenting tables piled high with scones, chocolate eclairs, sandwiches and sausage rolls, with the offer of a glass of Prosecco on arrival. 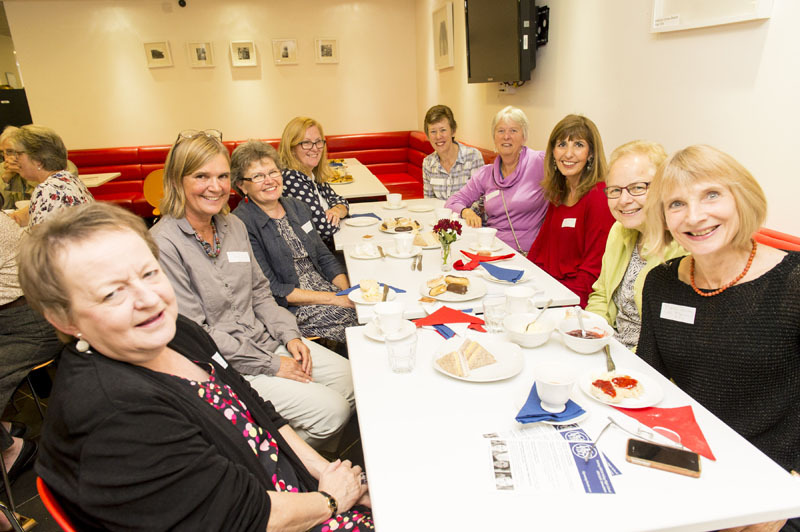 We welcomed Old Girls for reunions for the classes of 1956, 1968, 1972, 1983, 1988, 1998, 2003, 2008 and 2013, and they enjoyed reminiscing, sharing stories and reconnecting with each other over tea. 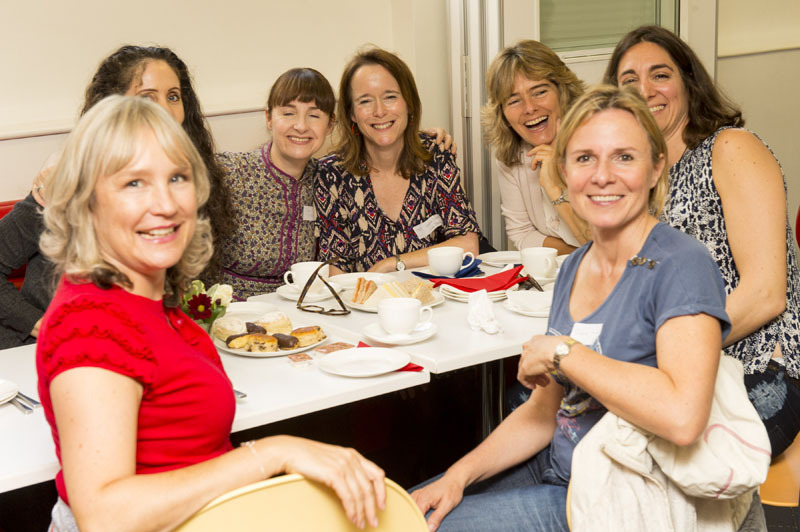 It was fantastic to welcome back former head Lucinda Hunt for her first tea reunion. 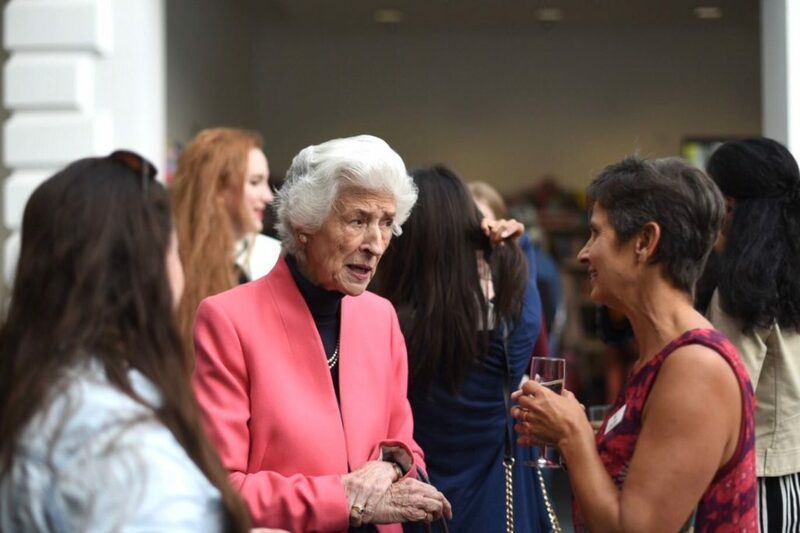 There were speeches by the OGA Chair, Jane Sigaloff, who spoke of the evolving role of the OGA Committee and the excitement of new members joining the Committee team in November. 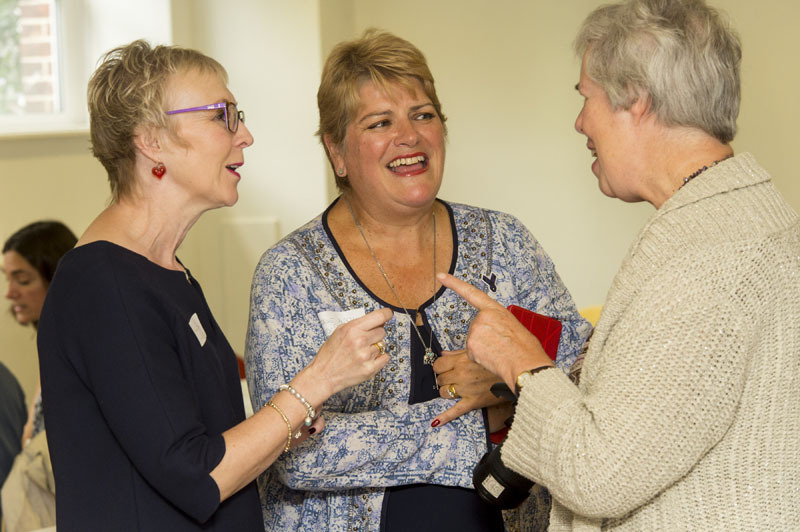 She thanked the long service of two committee members who retired this year: Jane Hering and Gillian Lowe. 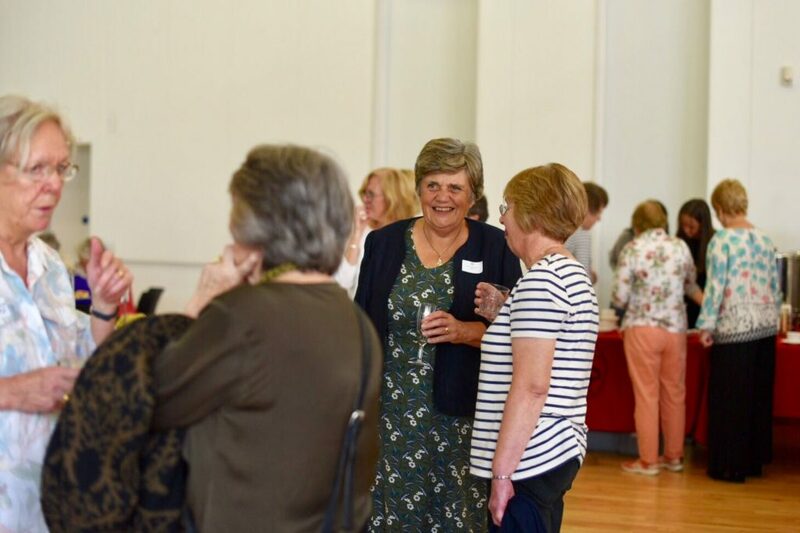 Matthew Shoults spoke of his delight at meeting so many of the school’s alumnae in the last year, and highlighted the great influence Old Girls can have on current school life. 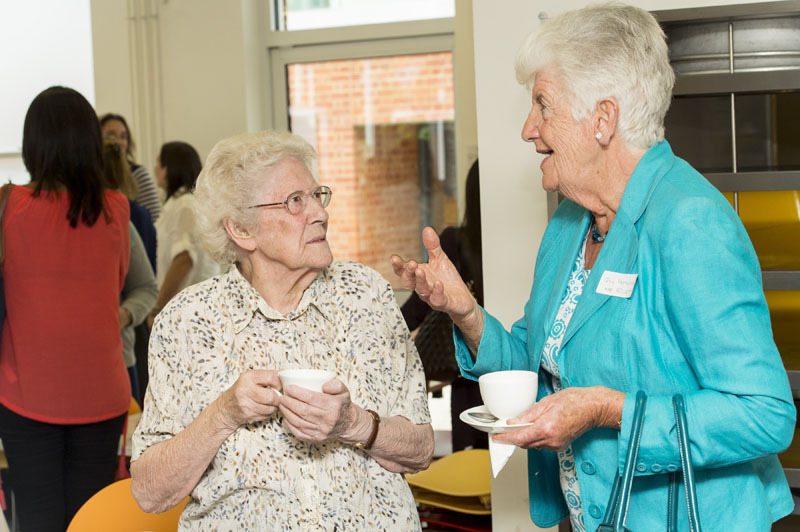 He also talked with pride about how the NHEHS Old Girls’ network is regarded throughout the GDST as one of the very best. 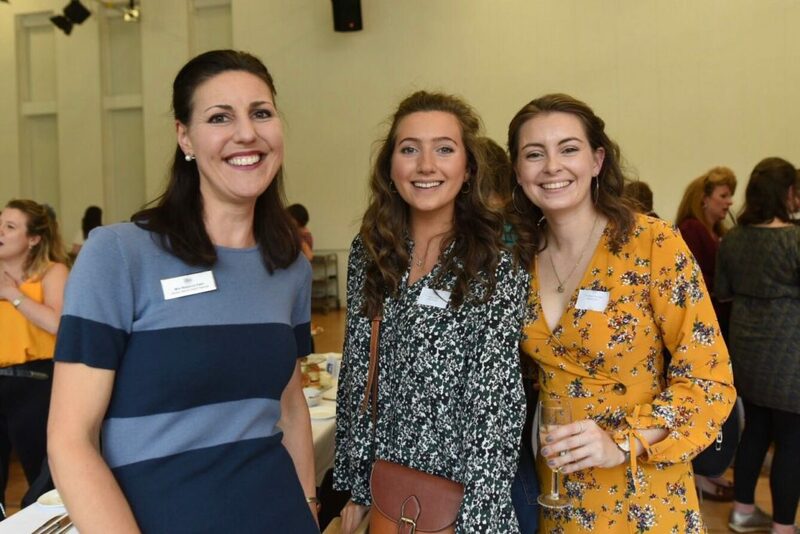 The speeches were followed by tours of the school buildings, old and new, by the Head Girl team and the annual OG V 6th Form netball match at 4pm. 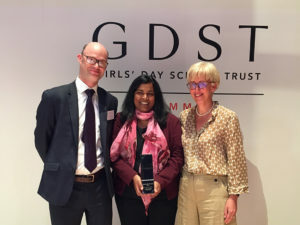 We are delighted and very proud to announce that Notting Hill & Ealing High School’s Dr Nirupa Murugaesu (NHEHS 1995) has been voted this year’s GDST Alumna of the Year. 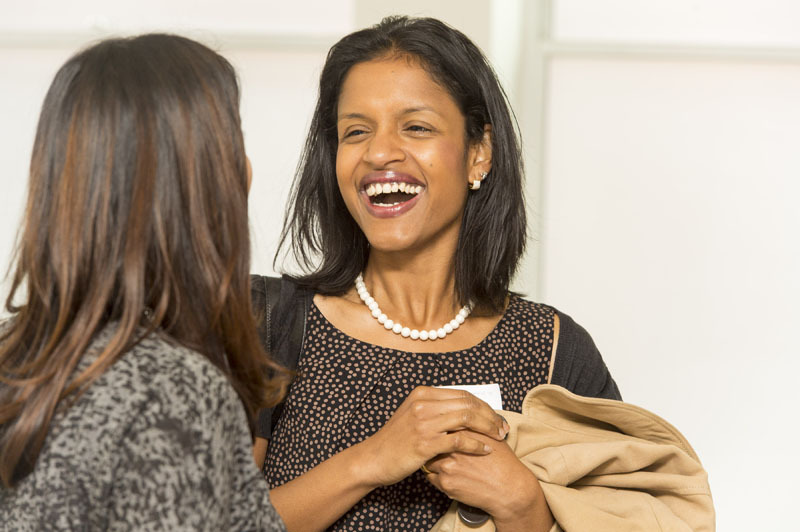 Nirupa is the Clinical Lead for Molecular Oncology at Genomics England. 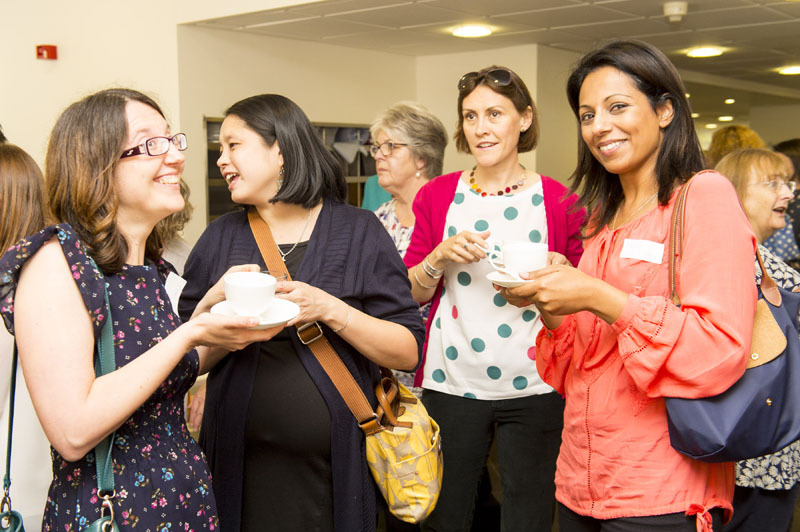 She provides clinical leadership and oversight of the Cancer Programme for The 100,000 Genomes Project, the groundbreaking genome sequencing project – set up to harness the power of genomics in the treatment of rare diseases and cancers. 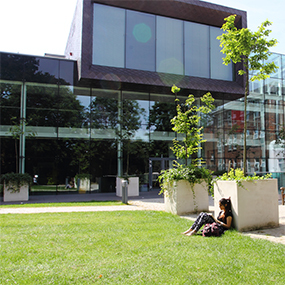 The project involves sequencing the DNA codes of cancer patients, in order to be able to provide better, earlier diagnoses and personal care for sufferers. 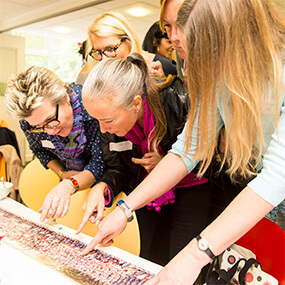 The project is transforming cancer care throughout the NHS. 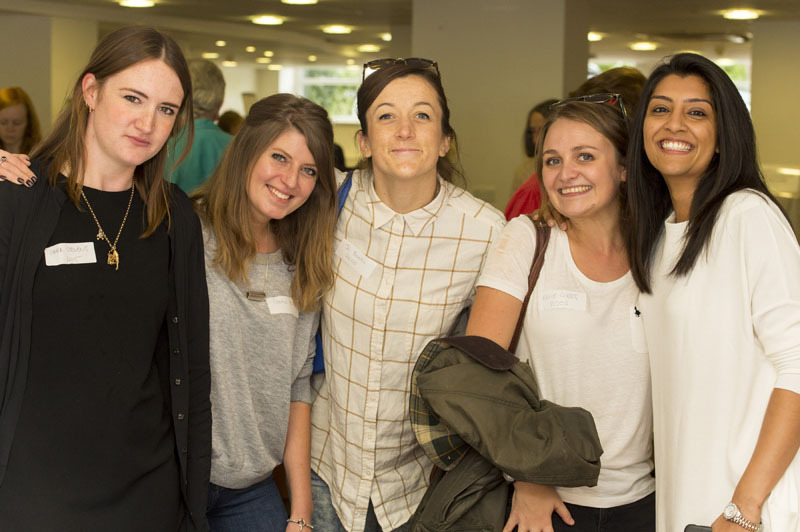 After the success of last year’s event we were pleased to welcome back NHEHS leavers from 2012 – 2017. 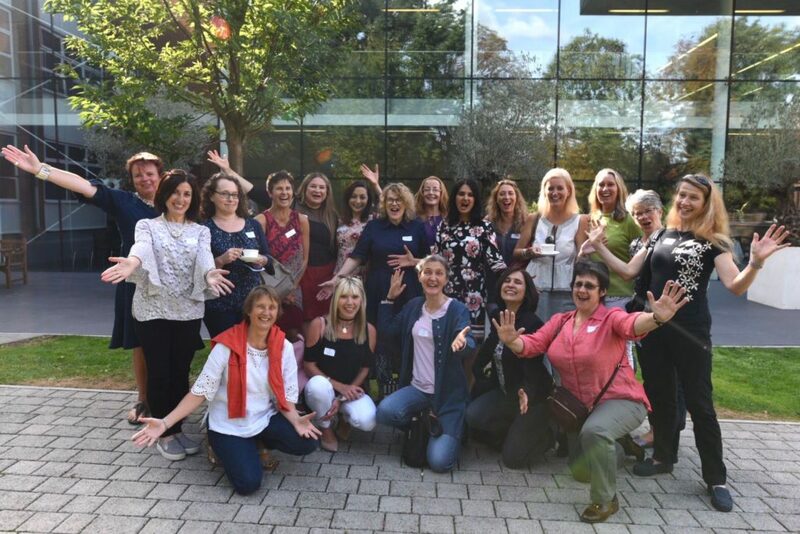 This was an opportunity to catch up with friends and teachers as well as to network with other alumnae who might be studying or working within similar fields. The sun was shining and the prosecco cocktails were a plenty, and the afternoon included many long overdue reunions between friends, and with staff, both current and former. 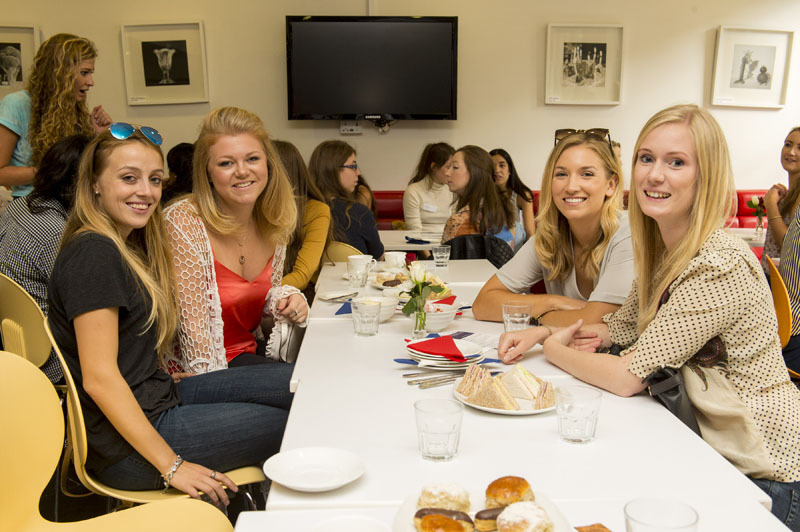 A new event for 2018; we invited recent leavers to return to school and offer current girls advice on their university choices, the UCAS application process and other options after they finish school. 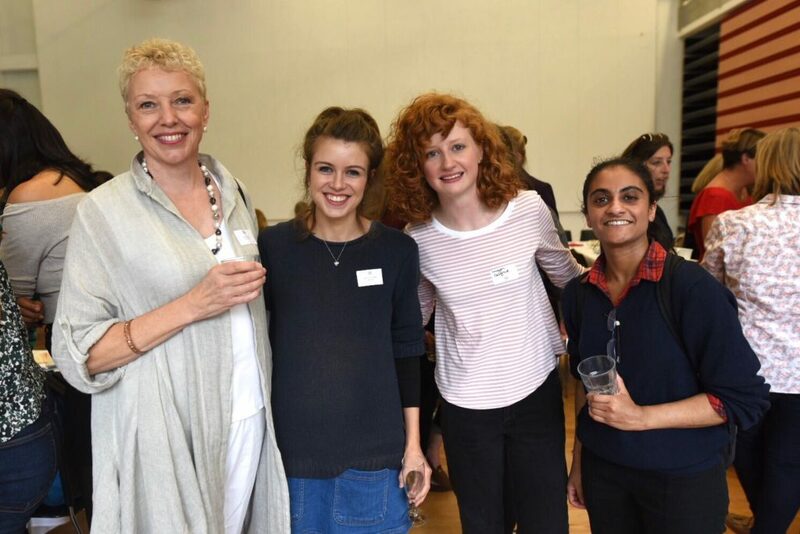 We heard from five Alumnae speakers who detailed their journeys through UCAS and art foundation applications, as well as gap year experiences, life as a student studying medicine, and all about International Study opportunities. 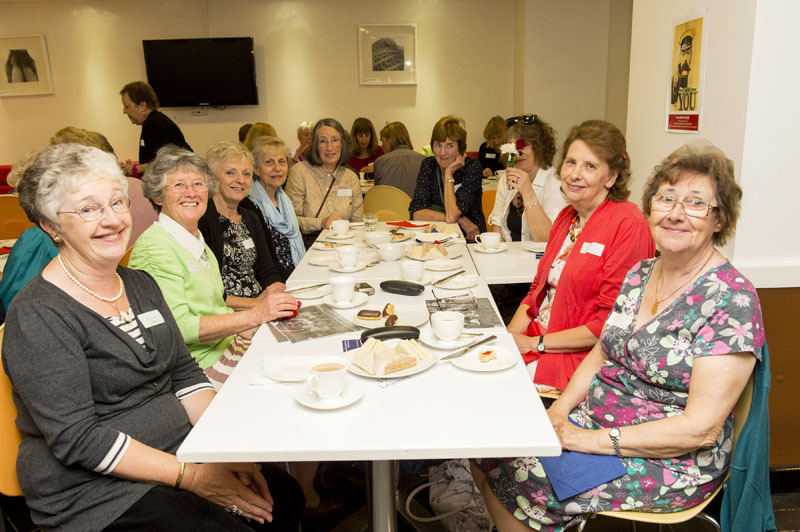 Thank you to all Old Girls who attended. 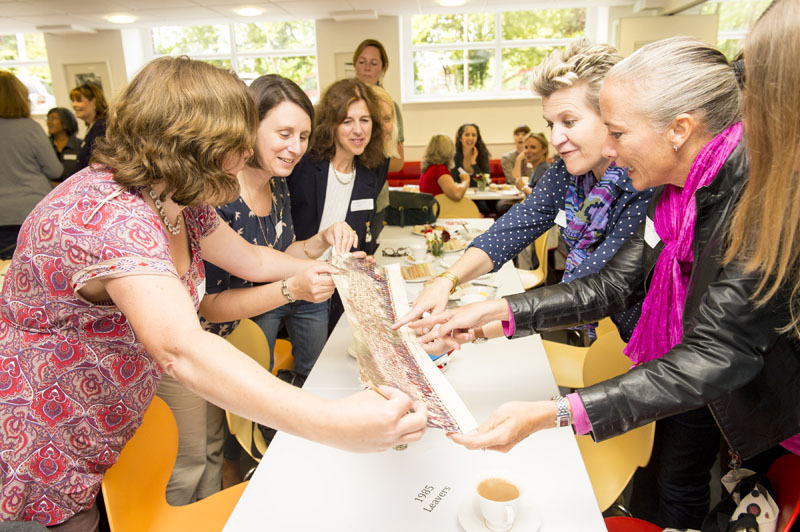 If you would like to be part of our group of alumnae who return to school to inspire the Girls with your career experiences please contact the Alumnae Office. 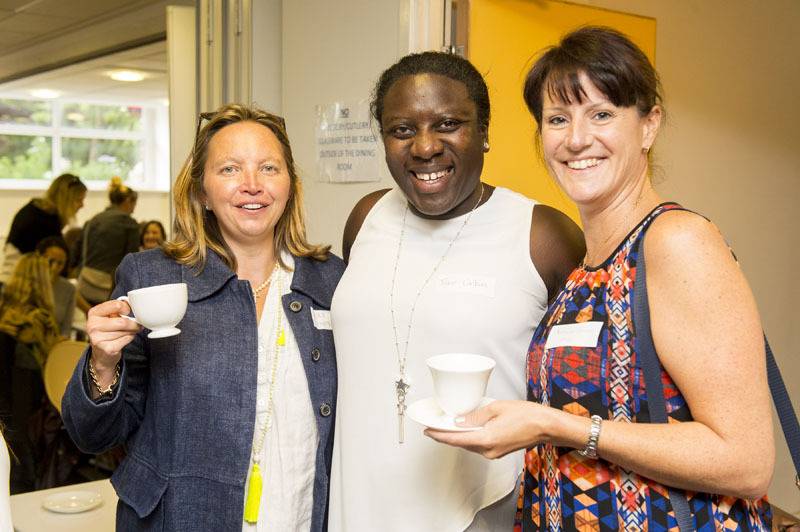 We enjoyed a fantastic morning of networking and discussion. 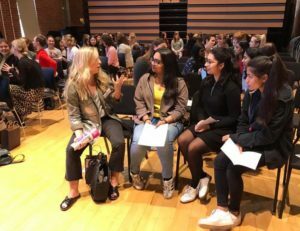 Year 13 students heard from 4 alumnae speakers about their career paths and then followed a ‘speed-networking session’ where 20 Old Girls had the opportunity to speak to the students in smaller groups. 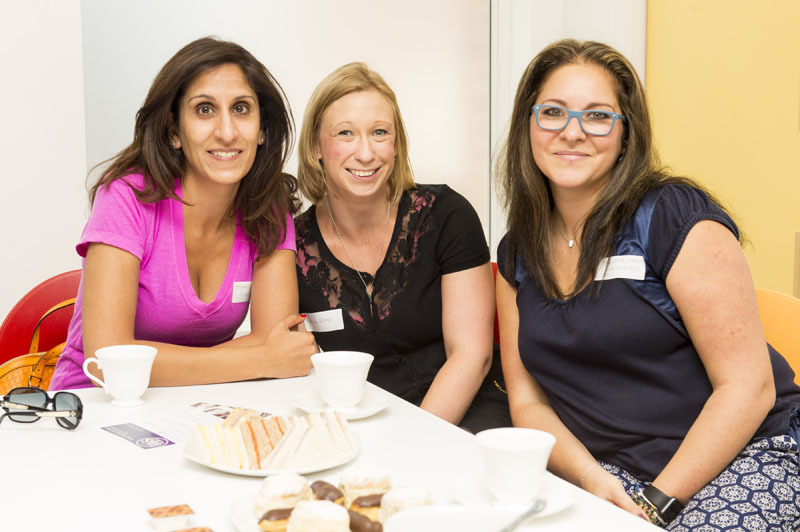 Photos of the event are available to view on the OGA Facebook page. 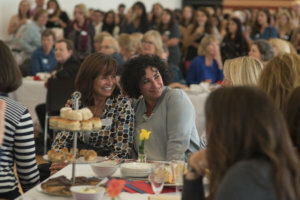 The annual Parents’ Guild Careers Convention has been running for over 20 years: parents, friends and alumnae gather in the hall to advise Girls from Year 9 – 13. 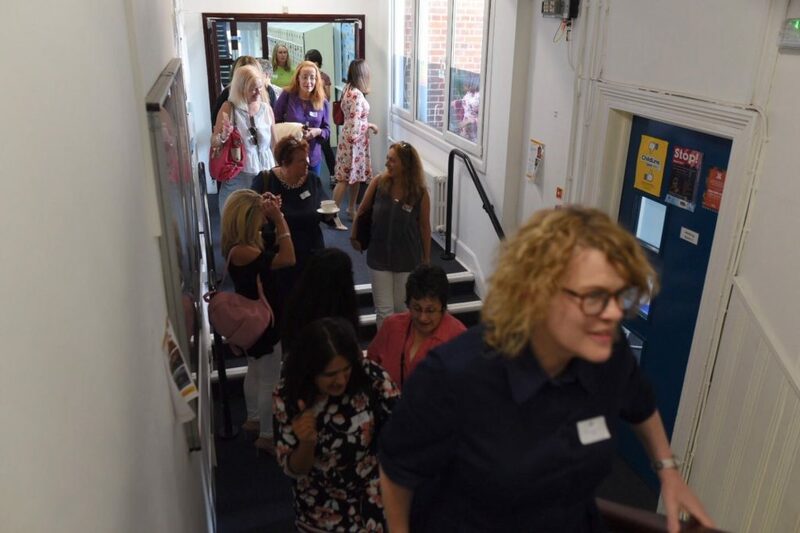 It was wonderful to welcome more than 20 alumnae from a range of sectors to speak with the girls about their careers and additionally join in with panel discussion sessions in the drama studio. 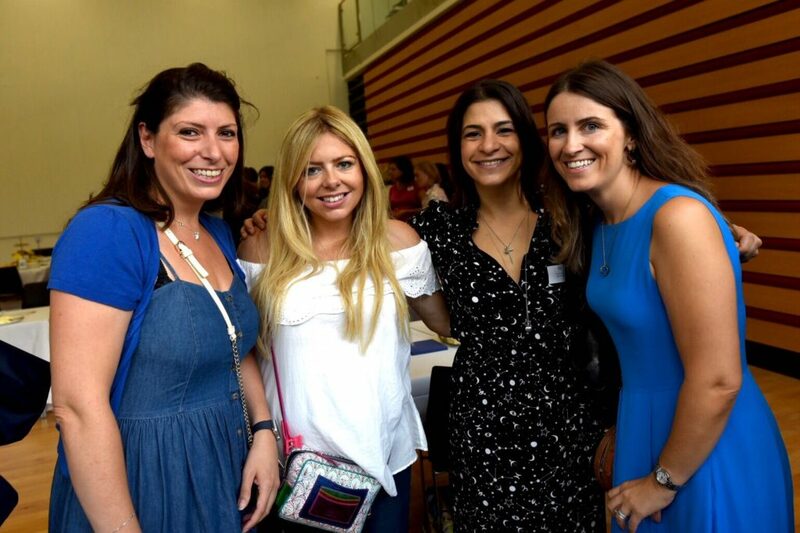 Thank you to all alumnae who attended. 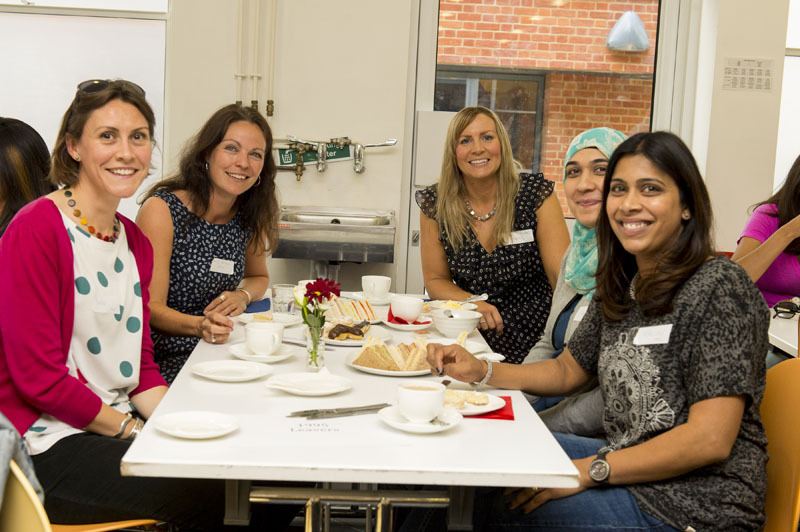 If you would like to be part of our group of alumnae who return to school to inspire the Girls with your career experiences please contact the Alumnae Office. 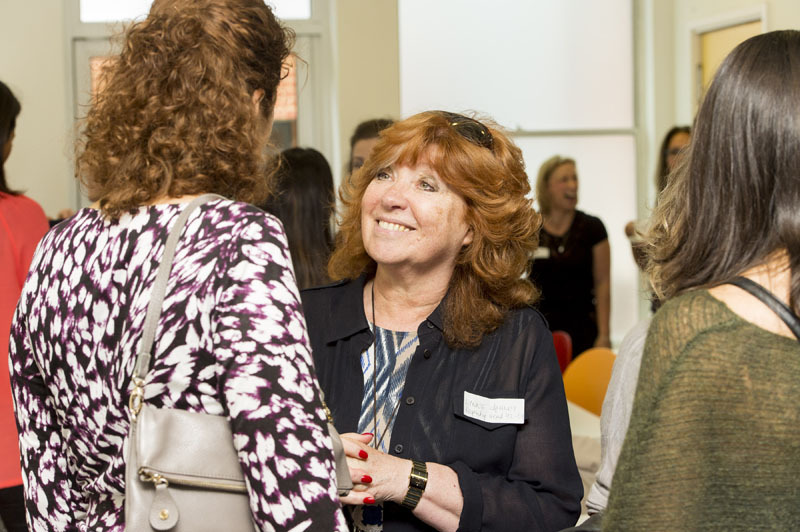 We were delighted to welcome alumnae for an evening of discussion and networking relating to the fields of Communications, PR, Media, Journalism and Broadcast. 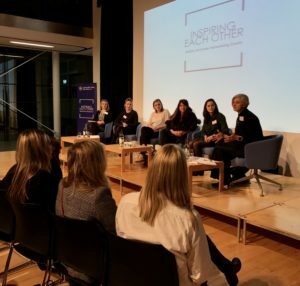 The event began with some inspirational words from Cheryl Giovannoni, CEO of the GDST and previously CEO of Ogilvy & Mather and continued with a fantastic discussion by a brilliant panel of alumnae: Anna Allatt (NHEHS 1996), Rachel Aroesti (NHEHS 2008), Sophie Cater (NHEHS 2007), Amabel Polglase (NHEHS 1986) and Holly Smith (NHEHS 2008), who all work within these sectors. 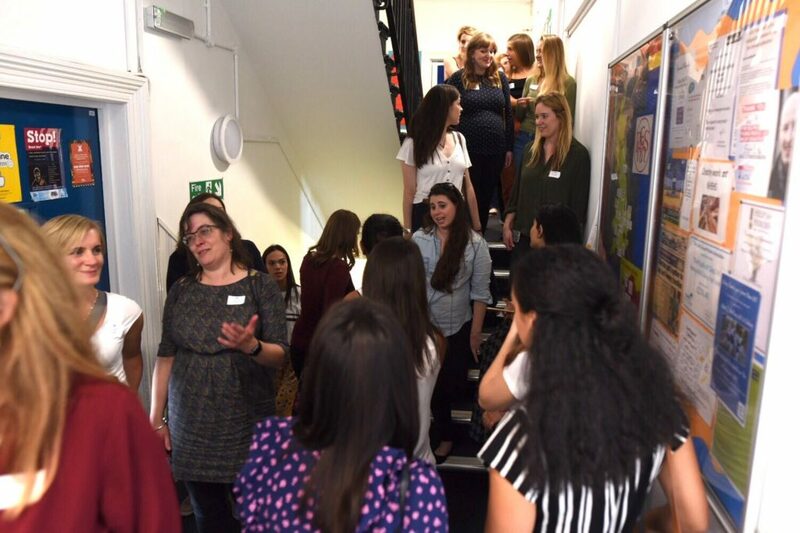 The panel discussion was followed by a question and answer session, and then a drinks reception and the opportunity for the alumnae attendees to network with each other. A big thank you to the panel and all who attended. 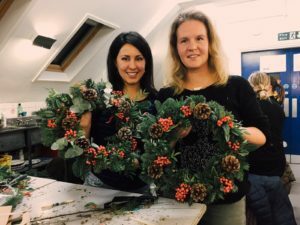 It was certainly beginning to feel a lot like Christmas when 25 alumnae gathered in the school art rooms for a fantastic wreath workshop, led by alumna Becky Hands-Wicks (NHEHS 1997) of Fraser Street Flowers . These garden inspired wreaths are now adorning front doors from Limehouse across to Hillingdon. 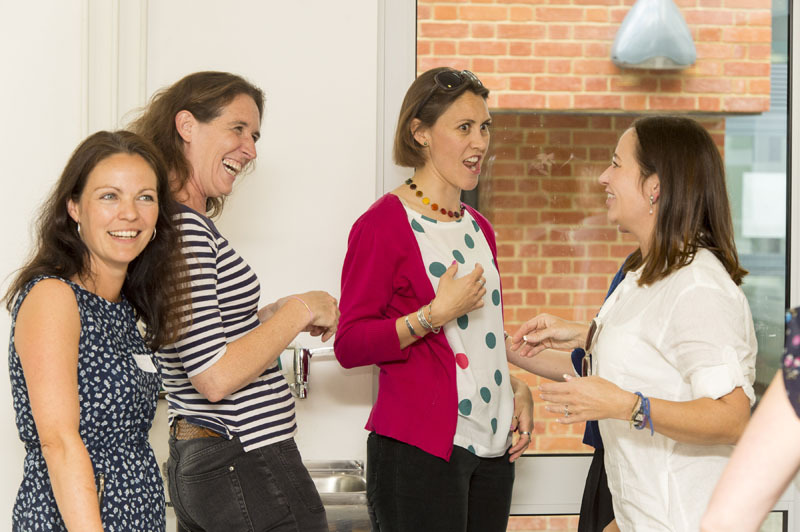 Everyone enjoyed the carols, mince pies and mulled wine and the opportunity for a little merriment with friends. Photos of the evening are available to view on the OGA Facebook page. A wonderful afternoon was spent in the new School Hall and Atrium. 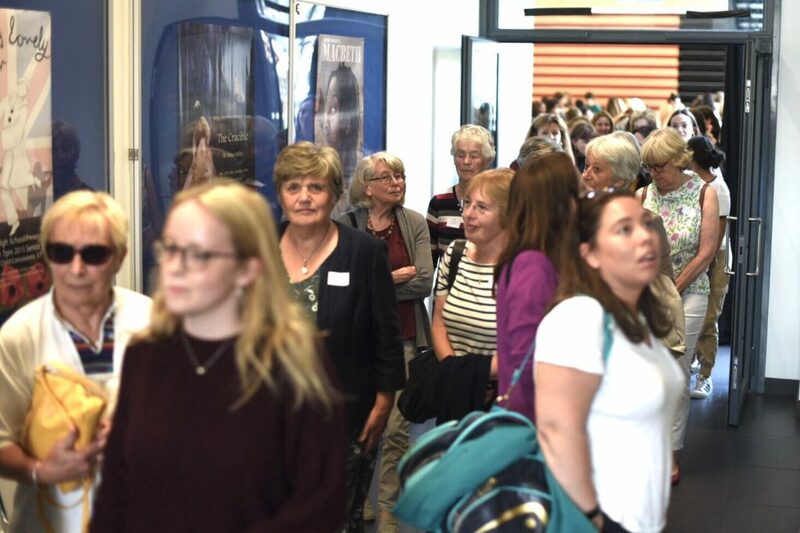 There were organised reunions for the leavers from 2012, 2007, 2000, 1997, 1992, 1987, 1981, 1977, 1972, 1967 and 1957; with almost 300 Old Girls returning to reminisce over scones, sandwiches and cake. 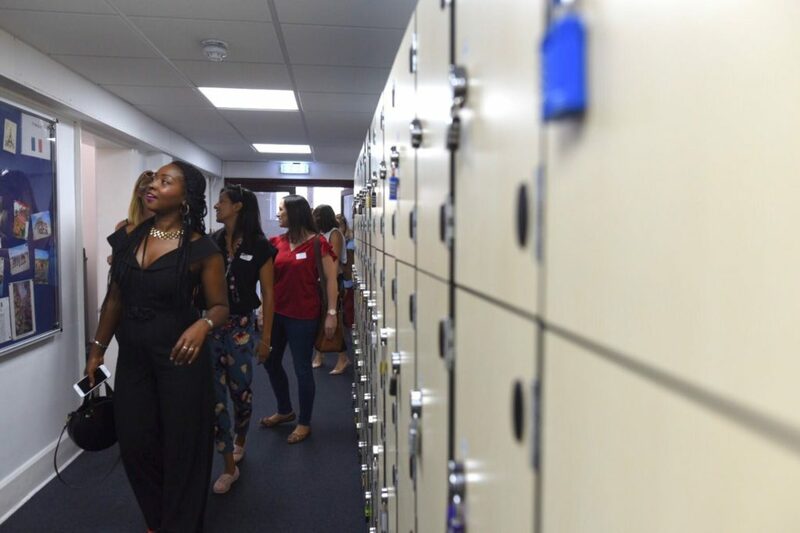 There were tours of the school buildings new and old, as well as the brilliant Old Girl V 6th form netball match out on the astro-pitch at 4pm. 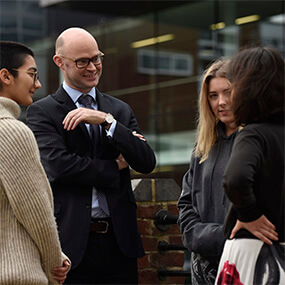 The new Head of School, Matthew Shoults was delighted to briefly address the Old Girls and thank so many for their involvement in school life this year. 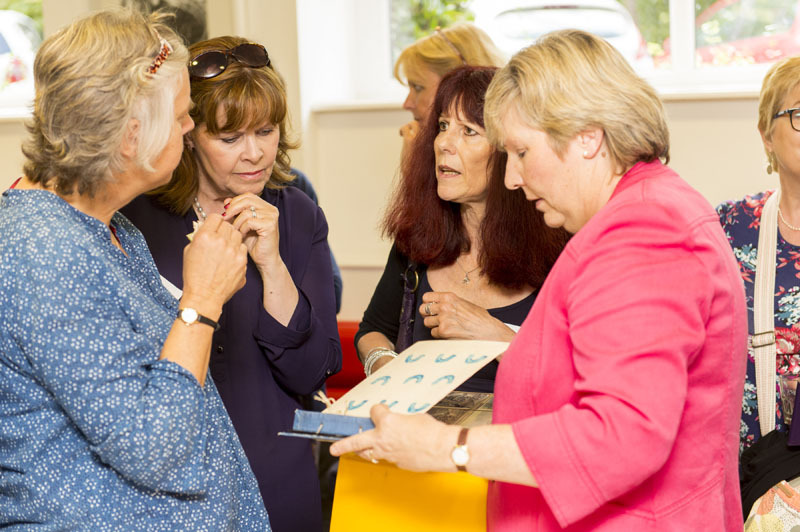 Photos of the afternoon are available to view here or on the OGA Facebook page. 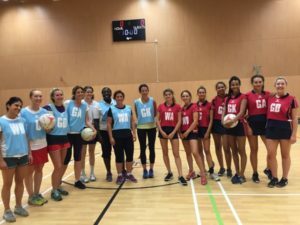 The annual OGA netball match took place on the afternoon of the Reunion Tea. A jolly time was had by all and the sun even shone for the duration of the match. Despite the huge audience in favour, the OG team lost to the spritely 6th Form team! We’ll beat them next year for sure! 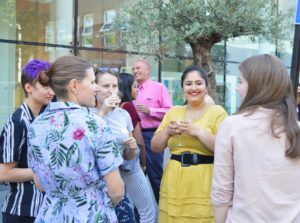 The school terrace was crowded on a sunny afternoon in June with alumnae and teachers catching up over a glass of Pimms and a canape or two. 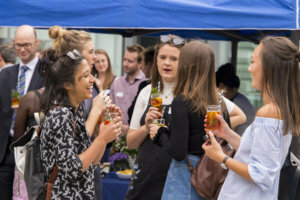 This was a new event specifically for recent leavers and so it was a wonderful opportunity to exchange experiences of university and the beginnings of working life. 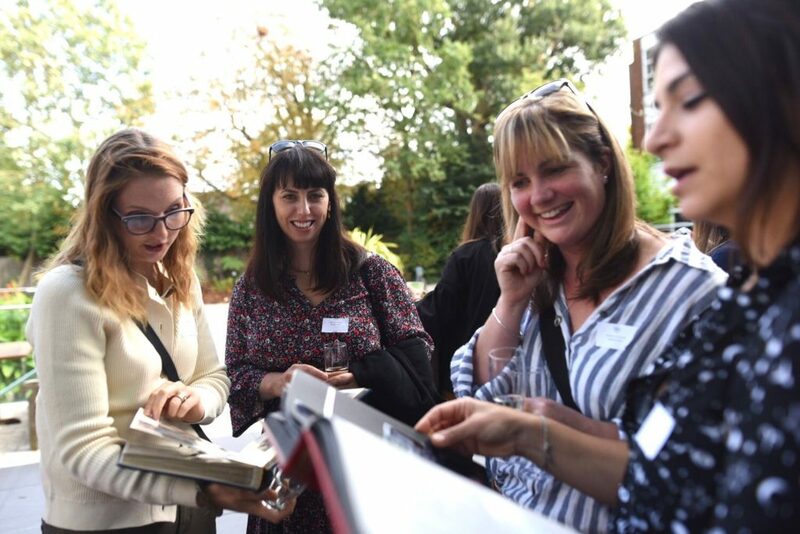 This was also the perfect chance for the Old Girls to reconnect with school, their favourite teachers and other alumnae who are studying or working within similar fields. 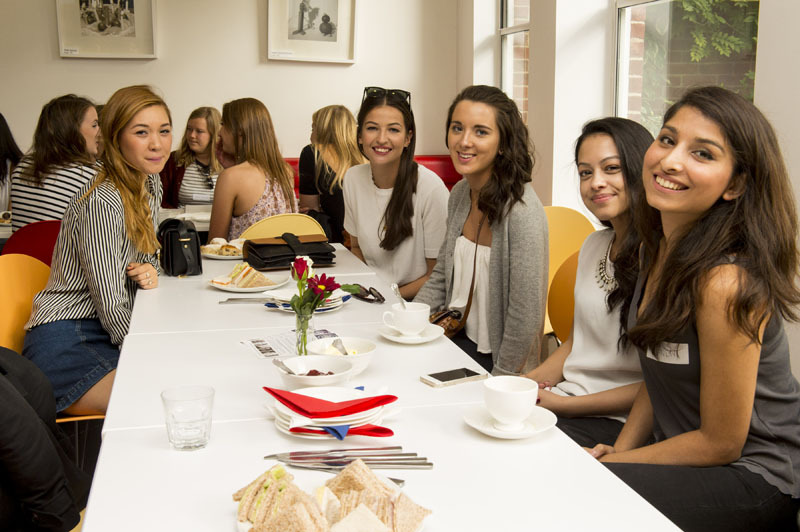 Mini school tours were offered by Year 12 students and a fantastic time was had by all who attended. 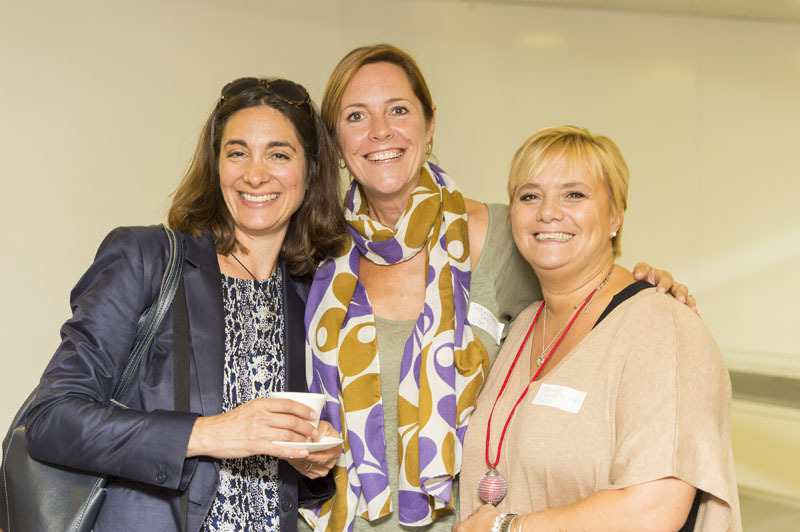 Photos of the afternoon are available to view here on the OGA Facebook page. 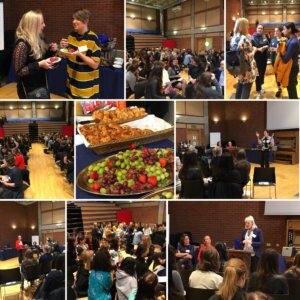 We were delighted to welcome a group of Old Girls to join current Year 13 Girls for a breakfast networking event in the Recital hall at School. 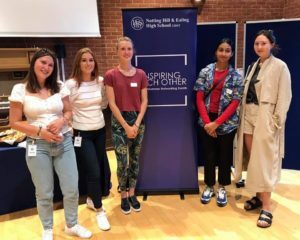 We began with 4 short talks from a panel of Old Girls about their career journeys; followed by the opportunity to sit in smaller groups and discuss further the wide variety of professions available. 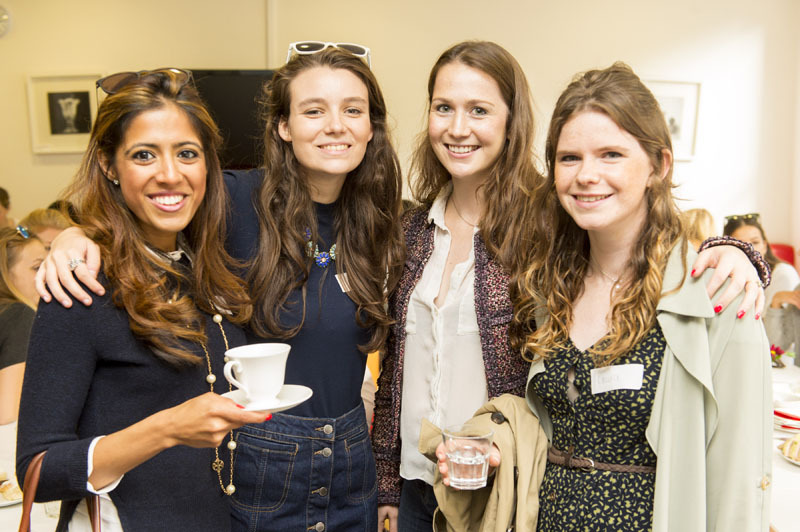 The girls left the event inspired and invigorated, and keen to stay in touch with the alumnae they had met. 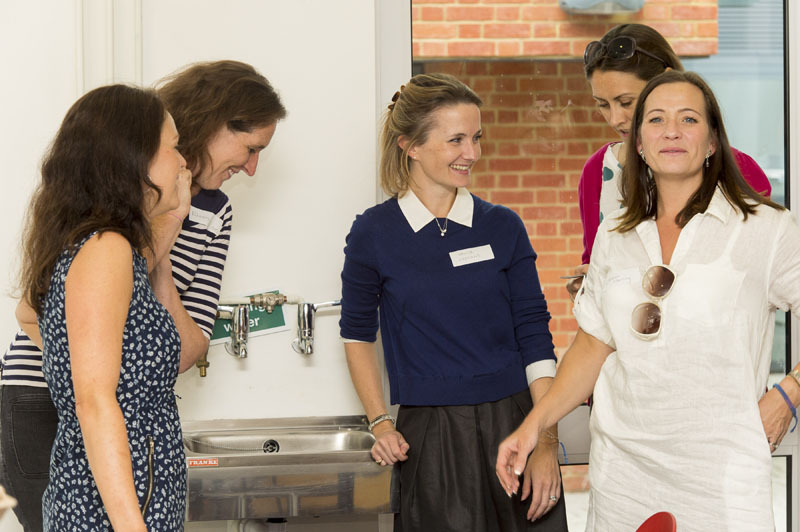 The morning culminated with an alumnae tour of the new school buildings – much to everyone’s delight! 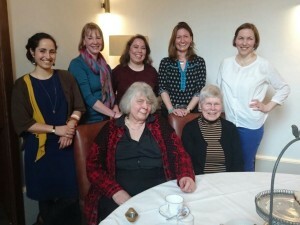 A group of Old Girls living in and close to Bristol were delighted to meet at the Bristol Marriott Royal Hotel on a sunny Saturday in March and to enjoy the hotel’s famous afternoon tea in the Drawing Room together. 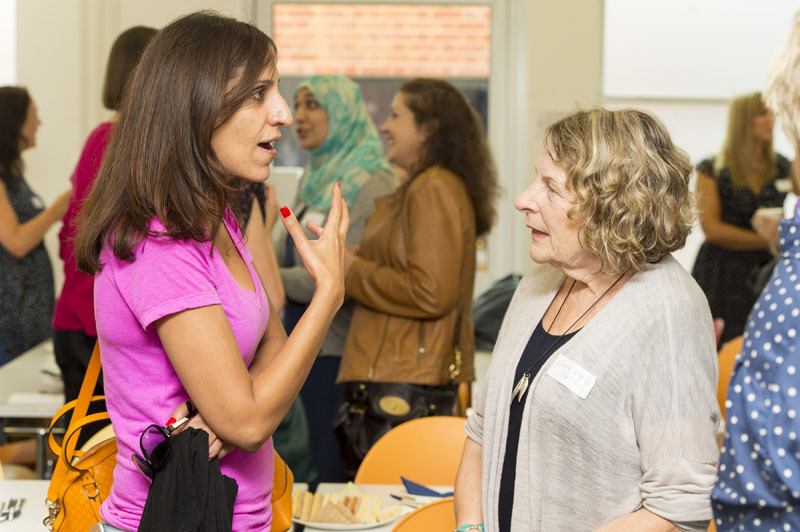 It was a fantastic occasion to catch up and network with other alumnae living locally. 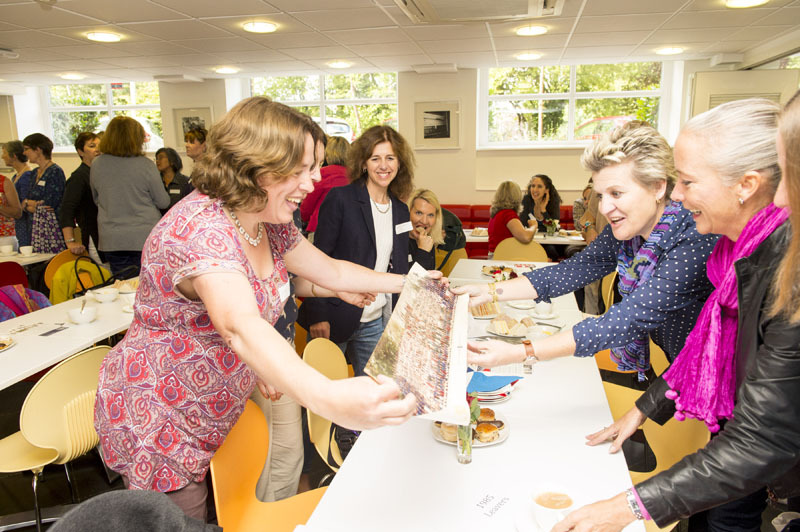 Many wonderful memories of school and teachers were shared making for a very enjoyable afternoon. What a wonderful evening of fun in the NHEHS Art Room! 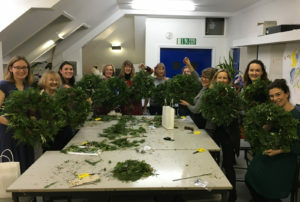 Old Girls, including leavers from 1965, 1998, 2000, 2002 & 2009, enjoyed conversation, mulled wine & mince pies as they created garden-inspired Christmas wreaths; whilst merrily humming along to carols! A big thank you to Louise from The Cracked Pot Flower Boutique for tutoring us so brilliantly! 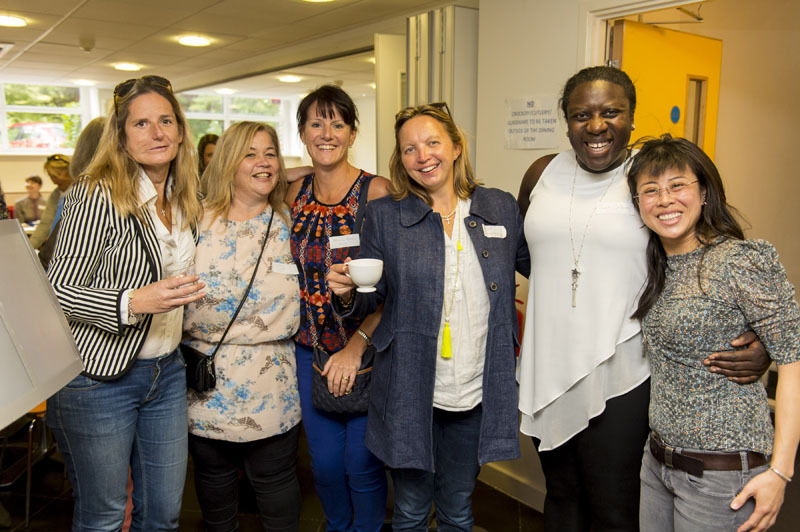 Photos from the evening are available to view here on the OGA Facebook page. 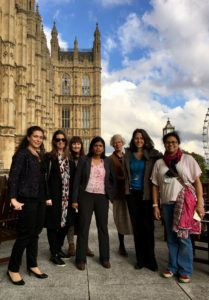 Members of the Old Girls’ Association were thrilled to take a fantastic tour of the Houses of Parliament, followed by a delightful tea on the terrace in the Autumn sunshine, where they were joined by Dr Rupa Huq MP (NHEHS 1990). 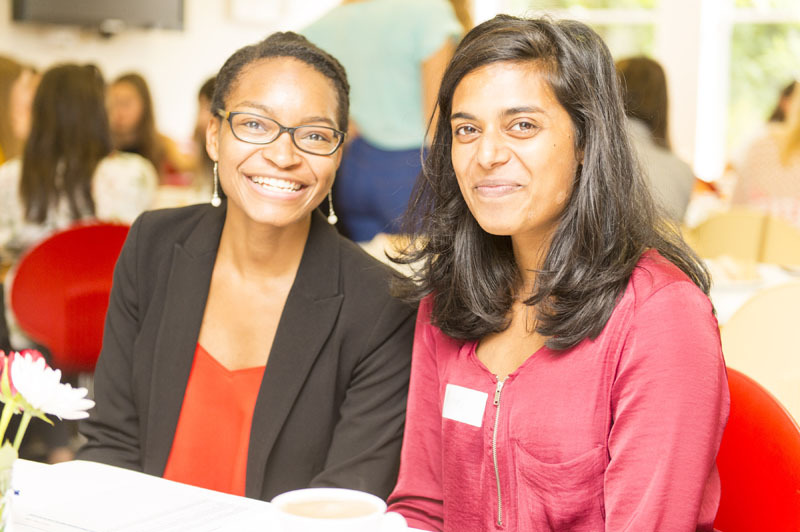 It was a wonderful opportunity to catch up with each other and to hear news from Rupa, who is not only an Old Girl herself, but also our local MP in Ealing. She was a wonderful host and rounded the afternoon off perfectly by arranging front row seats in the gallery above the House of Commons, from where we could watch the fascinating debate on the UK leaving the EU! 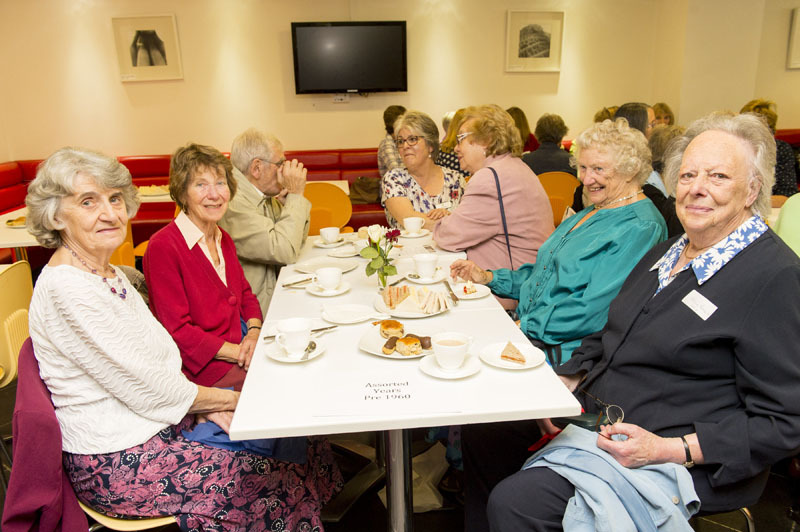 The 2016 Tea Party was the biggest NHEHS Old Girls’ reunion to date with almost 300 Old Girls attending to drink tea, eat cake and reminisce. 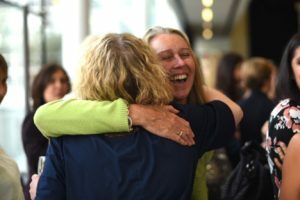 As each Old Girl arrived, embraced old friends and marveled at the changes that have taken place in the school, it was a reminder of what a special place NHEHS is. Jane Sigaloff, the OGA secretary, gave an update on the changes that have taken place in the OGA in recent months. 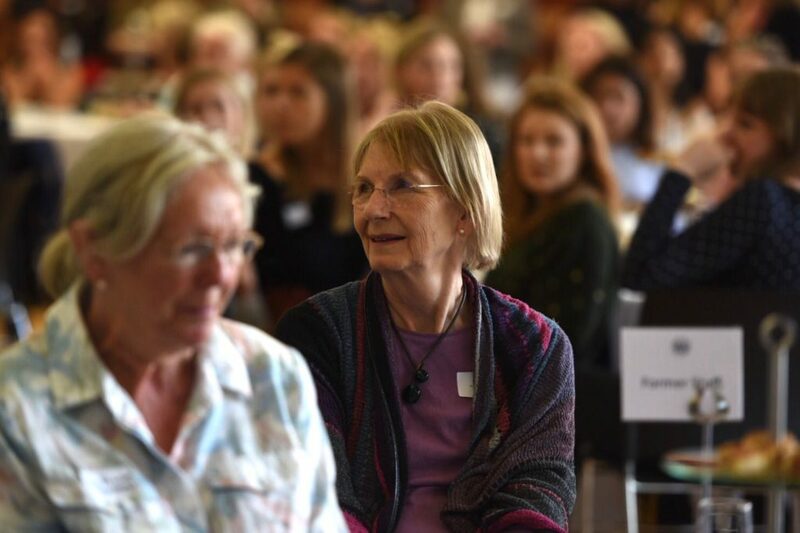 Reminding us that most importantly all alumnae are now members of the Old Girls’ Association, with no subscription fees to pay. Rebecca Irwin, the Acting Head, gave an update on all things current at NHEHS. She also gave us some information on our first ever male Head Matthew Shoults, who will be arriving to take up his position as Head of the School in January 2017. 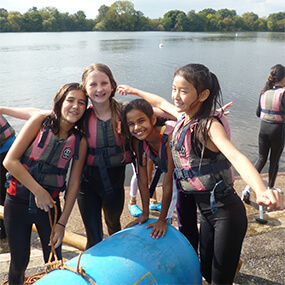 Matthew is joining us from North London Collegiate, where he is currently Senior Deputy Head. 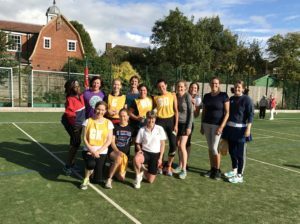 Huge thanks to all the Old Girls who came back to school this week to play netball against the NHEHS Senior Squad. On what was officially the UK’s hottest September day for 105 years, the match provided moments of inspiration and lots of perspiration. The final scoreline may not have been in the Old Girls’ favour this year but they were 8-1 down at the end of the first quarter, so 24-11 at the final whistle shows great improvement as the game progressed. 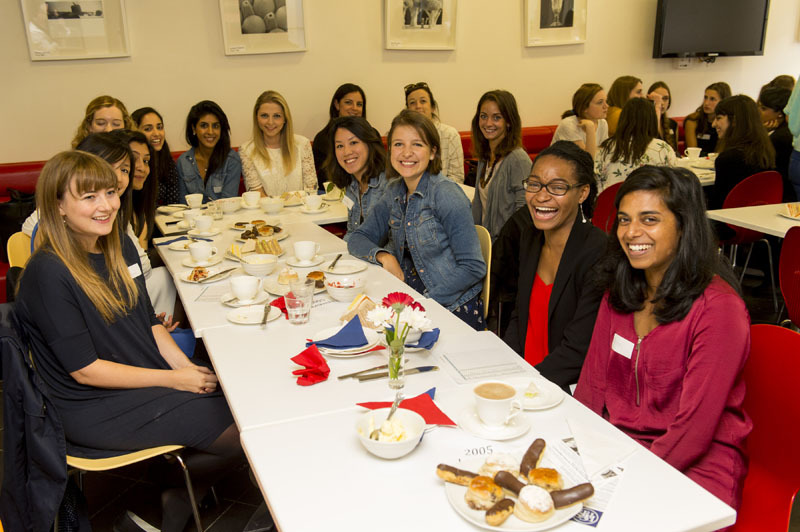 On Friday 29 April 2016 NHEHS welcomed a brilliant group of alumnae to have breakfast with the Year 13s and talk about life beyond school. 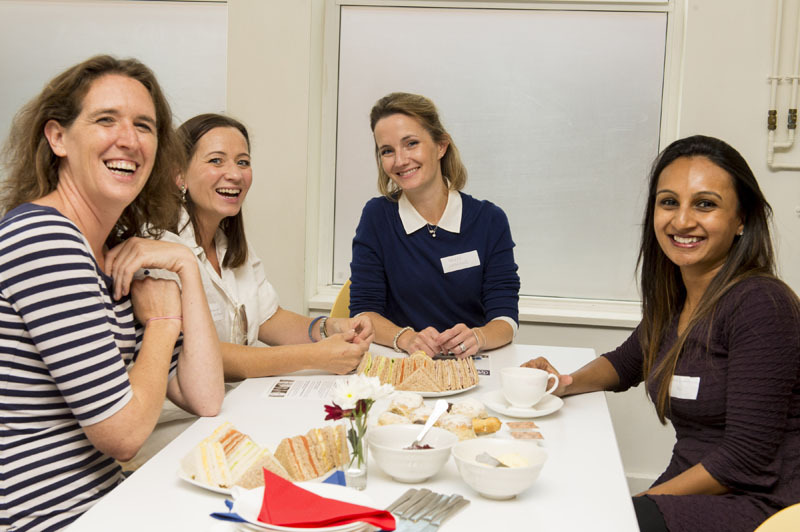 With truly diverse range of careers represented there was something for everyone, and everyone who took part thoroughly enjoyed it. To kick off the morning four Old Girls talked about their own experiences, offering valuable insights and wisdom about how to carve out your ideal career. 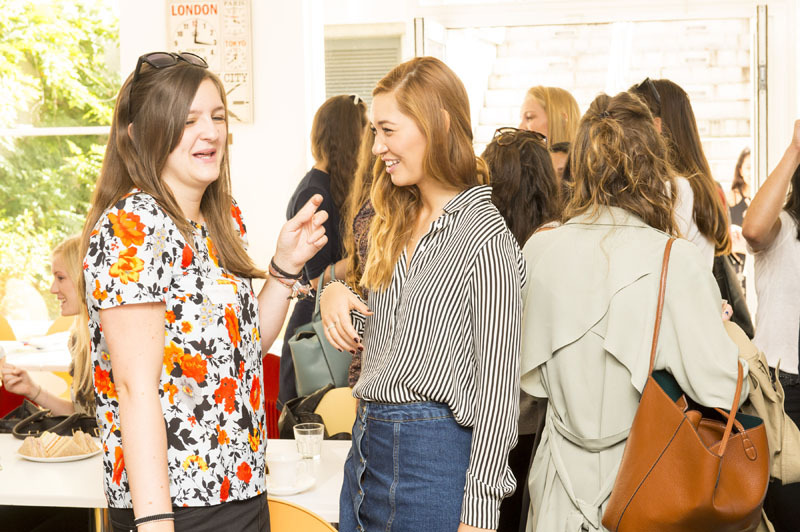 Charlotte Cooke, Marketing Manager at Transport for London talked about the importance of making the most of long university holidays, by getting work experience, doing placements and professionally accredited training courses. Making the most of the long summers will widen your networks, broaden your horizons and unlock other opportunities. At 18, Vanella Jackson, now Global CEO of Hall and Partners, did not get the grades to get into her first choice of University. She promptly sought out an alternative course and unabated continued to pursue her goal of a career in advertising against the advice of some who told her ‘it’s a very competitive jobs market’. Vanella is now at the top of her game and a living example that you ‘create your own destiny’. 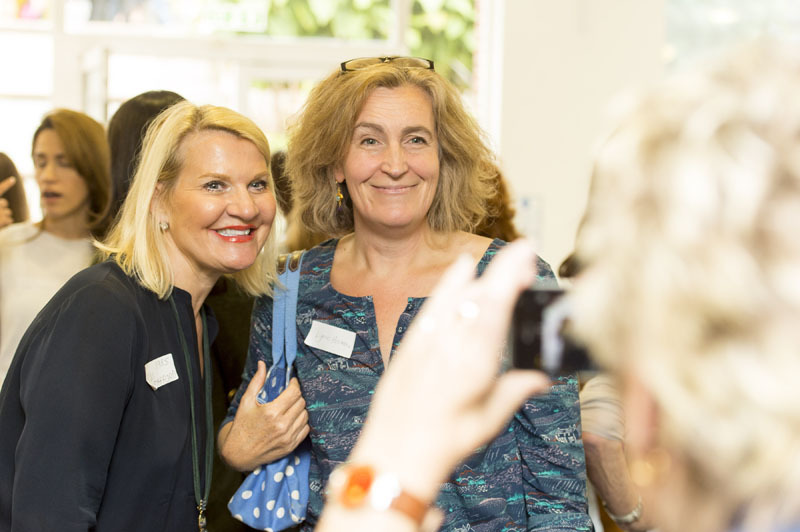 Now Financial Director at Walt Disney Company, Anne-Marie Pearce didn’t know what she wanted to do when she left school. After a gap year she decided to train as an accountant and soon after took a job at Walt Disney. She nearly dismissed the opportunity seeing herself as someone who would work in the Foreign Office, or for an NGO but now works in a job she loves, an environment she loves and enjoys being part of a company which ‘touches everyone’s life in some way.’ She advised girls to stay open-minded and work out what you love to do as that is what will really make you stand out at interview. 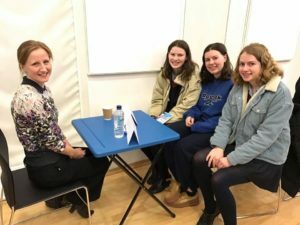 Following the talks, Old Girls chatted to Year 13s in small groups, giving them a snapshot of many different career paths, from veterinary science to politics. 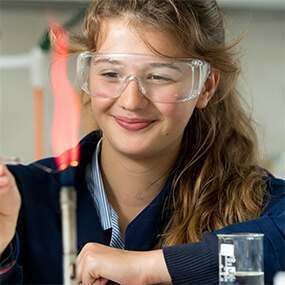 One Year 13 summed up what she learned from the morning brilliantly… ‘Hard work is directly proportional to luck’. 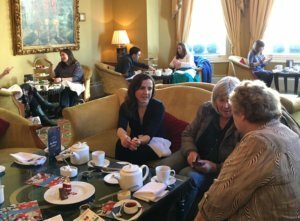 On the 20 February NHEHS Old Girls met in Edinburgh for a delicious cream tea and the opportunity to meet fellow alumnae living in Scotland. There was plenty of catching up to do. 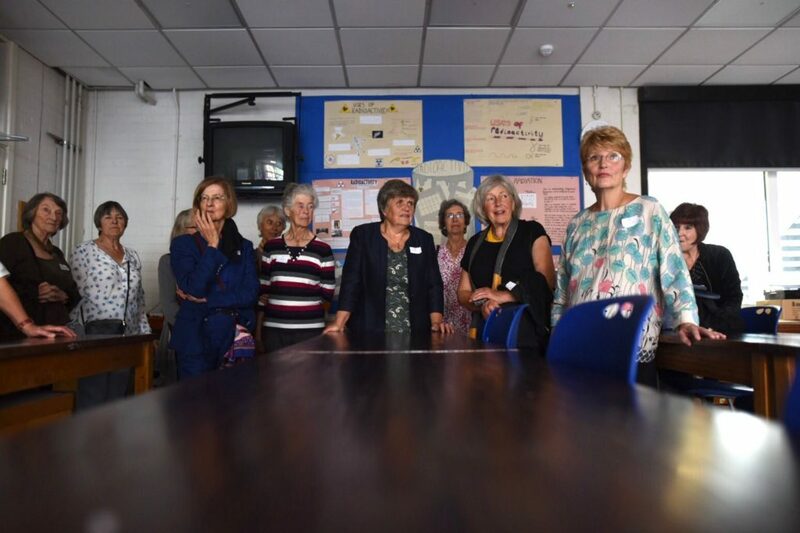 It was fascinating to find out what Old Girls had been up to since leaving school and to discover all the things we had in common, despite the fact that we had all attended NHEHS at different times. 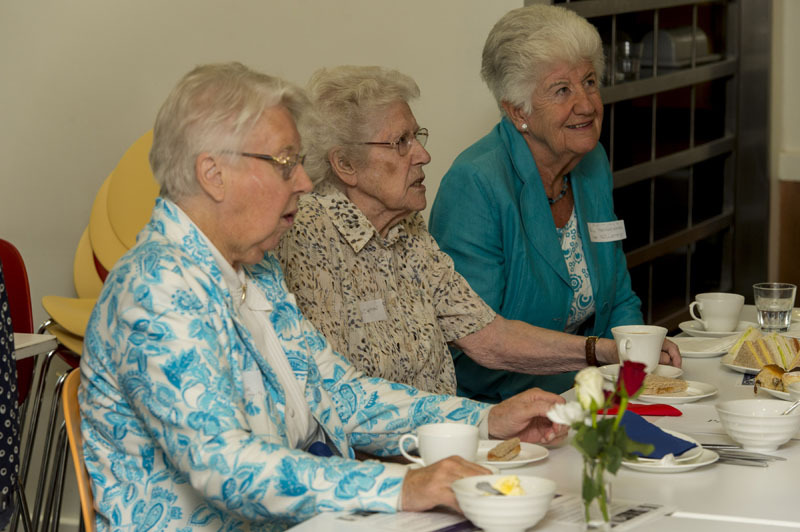 Leavers were from the class of 1956 through to 2003. 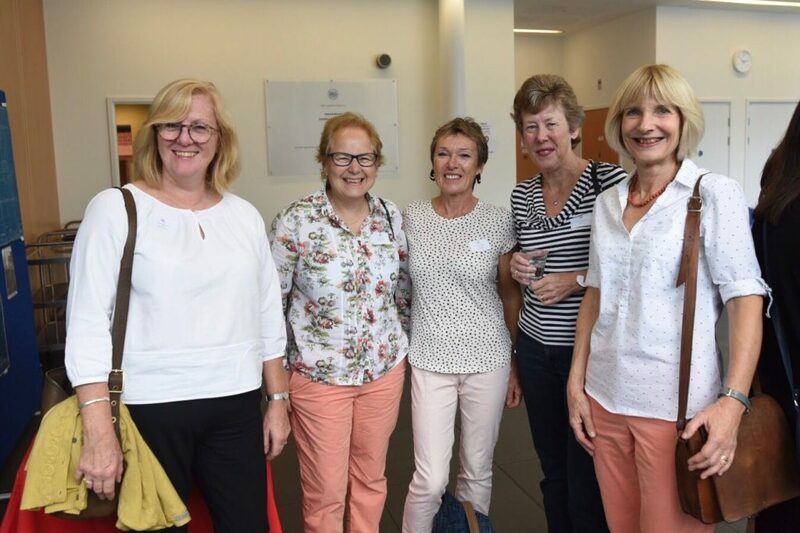 We look forward to next year as the Scottish Reunion becomes a highlight of the NHEHS OGA calendar! 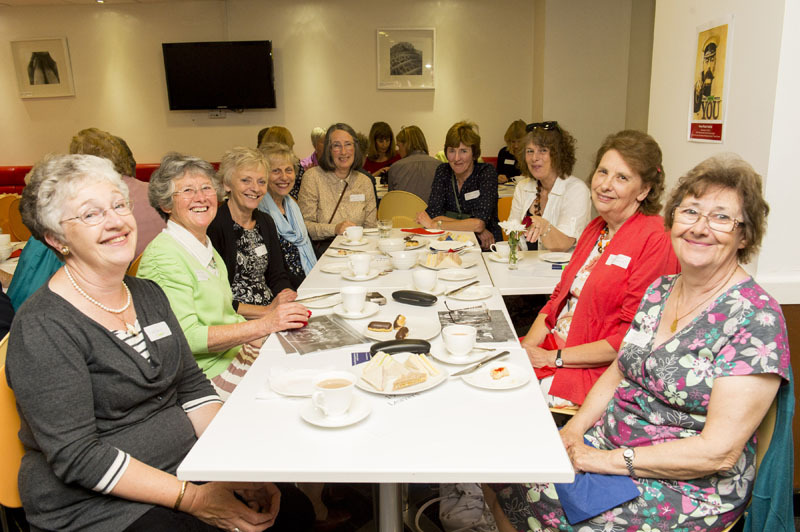 If you are interested in organising a local reunion, whether in the UK or overseas then please do contact the Alumnae Relations Office. Friday Night Presents: Pippa Evans, Rachel Mars, Philippa Boyle et al. 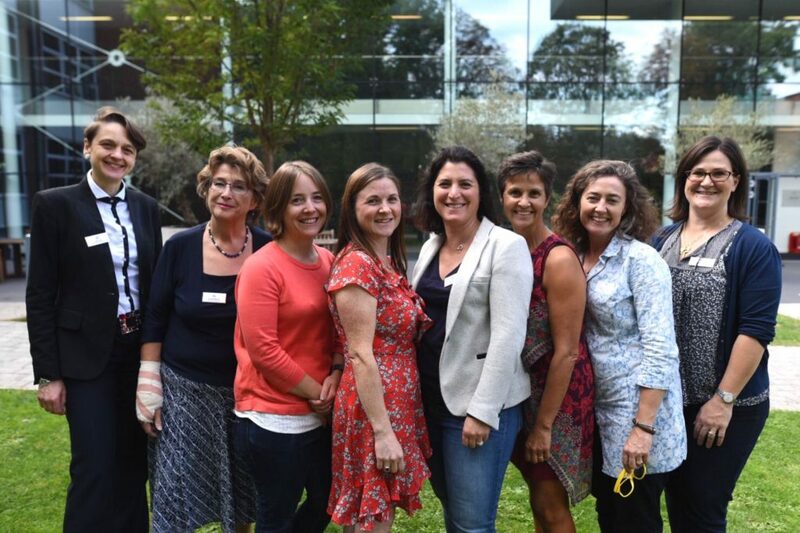 Former teachers, parents and Old Girls packed into the NHEHS Studio Theatre on Friday 9 October for an evening of comedy that made them cry with laughter, and opera that moved them to tears! 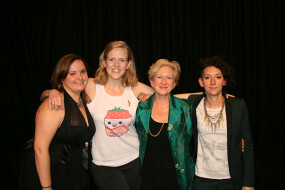 Comedian Pippa Evans (NHEHS Head Girl, 2000) performance maker Rachel Mars (NHEHS 1998) and lyric soprano Philippa Boyle, (NHEHS 2003) alongside guest comedian Liz Mee gave great performances showcasing their incredible and unique talents. The sense of affection for the school was palpable, from both performers and audience, and it was a real treat to have our Old Girls performing at school. 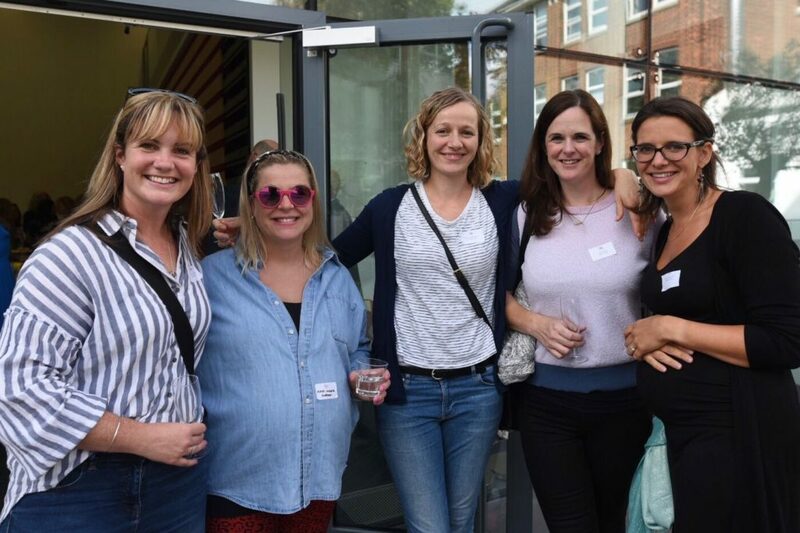 The NHEHS OGA would like to say an enormous thanks to Pippa, Rachel and Philippa for everything they did to make the evening such a success. 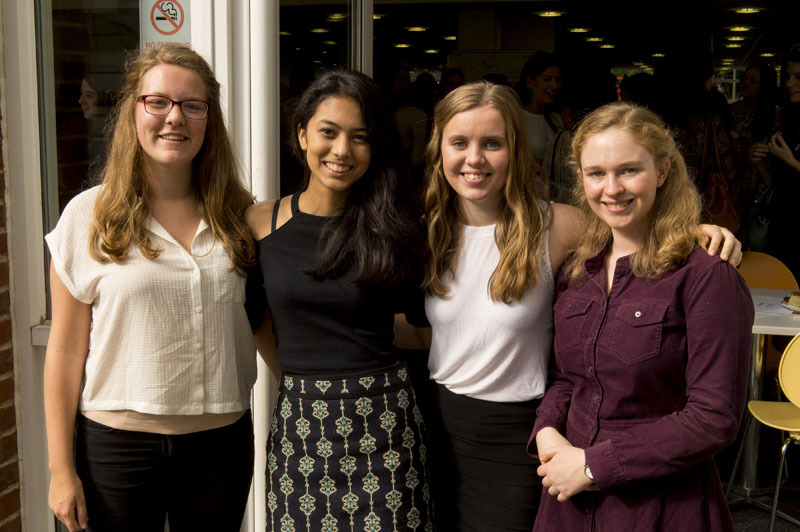 It was with some trepidation that members of the Old Girls Team came back to school to compete against the Year 13s. Would their netball skills have stood the test of time? Would they be far outshone by their younger counterparts? 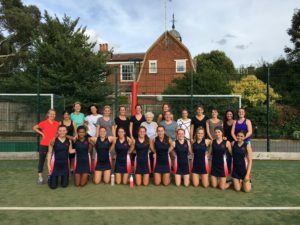 However, NHEHS gives you a fighting spirit which never leaves you and the Old Girls were well and truly in the game from the start. The final result? A tie at 18 all! It was a fantastic match. All the players are very much looking forward to the next fixture. A tournament next time perhaps?! 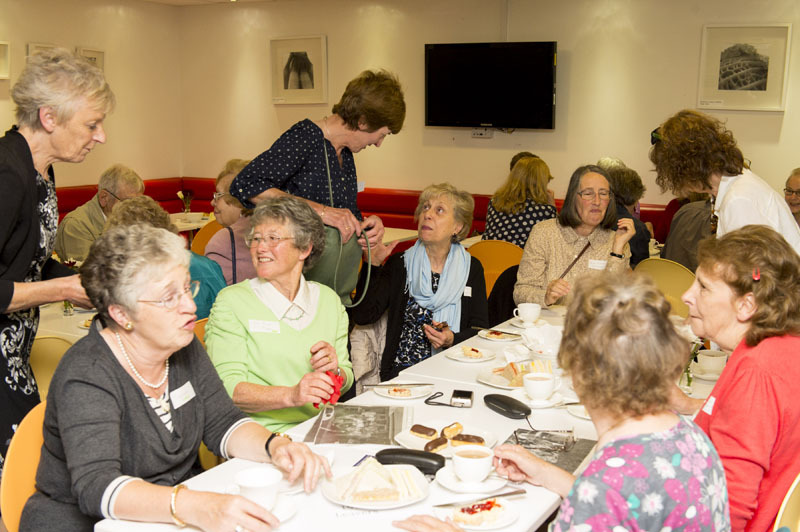 Over 200 old Girls joined us for tea this year. 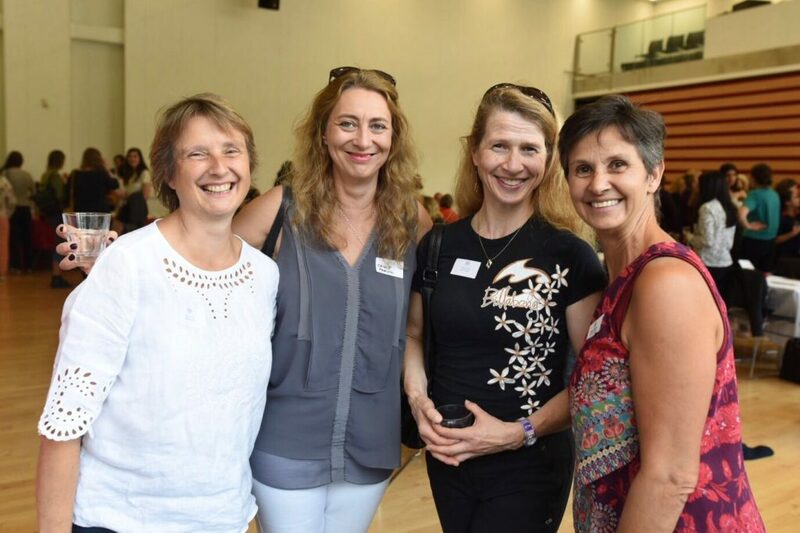 There were organised reunions for the leavers from 2010, 2005, 2001, 1995, 1990, 1985, 1975, 1965 and 1960. 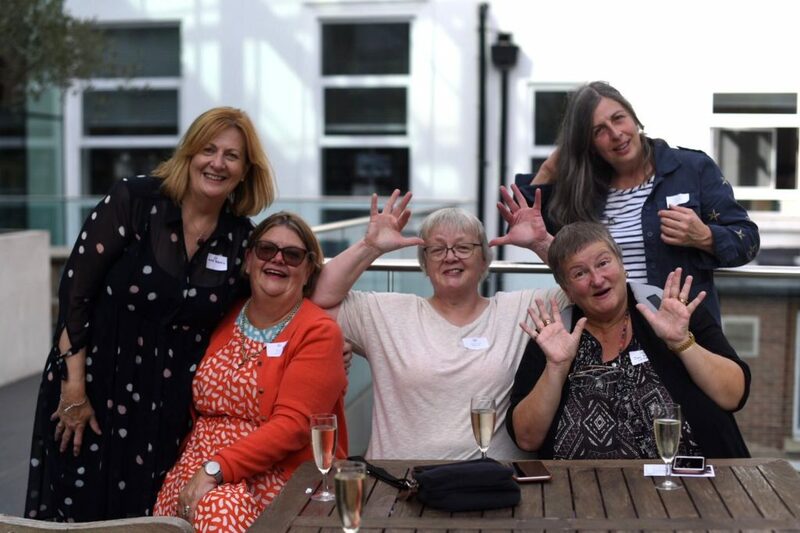 If you are thinking about getting a group of old girls together from your year and would like some help do get in touch and we will assist as much as we are able. 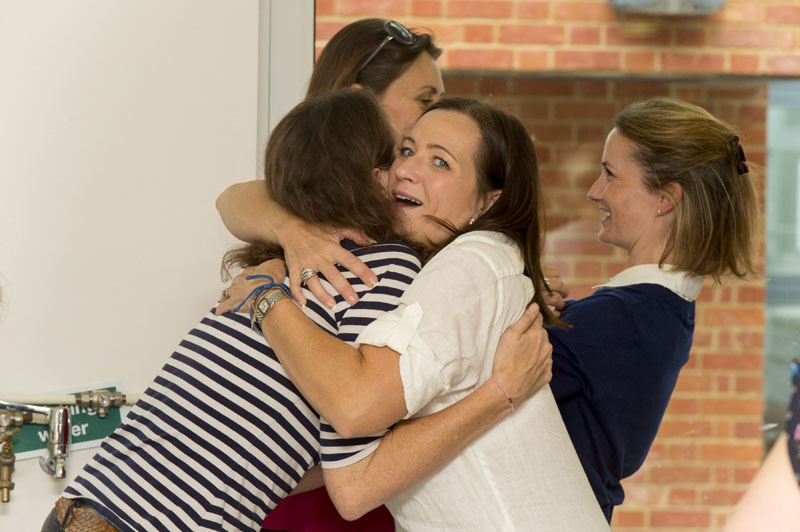 Tracking people down can seem a most daunting task but it is always worth it, however large or small your reunion. Those who are able to make it invariably have a fantastic afternoon and will be very grateful that you found the time to contact them.